Planting a tree is not enough; it requires good care and timely attention to maintain lush appearance and health of your Lakewood trees. At Hunter's Tree Service, we offer a comprehensive range of tree service in Lakewood, which includes regular tree care, trimming, pruning and removal, along with stump grinding and logging. Our experience and vast knowledge makes our tree service a first choice among the residents of Lakewood. Whatever your tree care need, you can rest assured it will be efficiently served by the proficient workforce of Hunter's Tree Service. Client satisfaction is our priority and all of our tree care services are aimed at matching your expectations. Every step of tree care and tree trimming is carefully planned and executed by our competent experts to ensure the task is completed efficiently and on time. 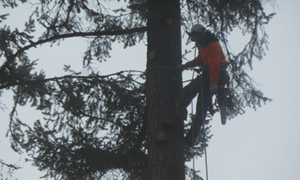 A professional tree service provider is better capable of assessing the condition of your Lakewood trees and offering suitable solutions as well. Many people consider it a very easy task, however it requires expertise and in depth knowledge to ensure your tree care needs are served properly. Besides regular care, some tree trimming or pruning issues require timely action, as otherwise the condition of the tree can get worse and pose a danger to the structures or homes located nearby. You can rely on our competence and expertise to deliver outstanding solutions for all your tree care needs in Lakewood area. 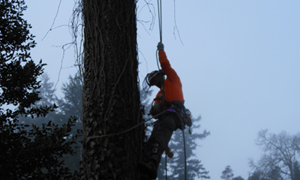 At Hunter's Tree Service, we carefully consider all aspects, such as location, size and type of the tree, in order to perform the job safely and efficiently. 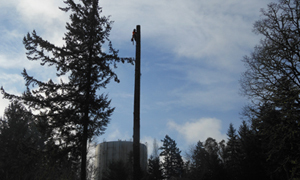 We strive to provide timely tree care to keep your trees safe and healthy. Tree trimming is an essential step involved in maintaining the appearance and wellbeing of trees. Performing tree trimming safely is very important, especially if your trees are located in a busy or confined area of Lakewood. If not done properly, then it can lead to unwanted effects and severe pitfalls. Providing efficient tree service requires knowledge, expertise and experience, as every type and size of tree has its own requirements. The workforce of Hunter's Tree Service is well aware of how to combine their competence with latest techniques to deliver unmatched tree care services to Lakewood homeowners.